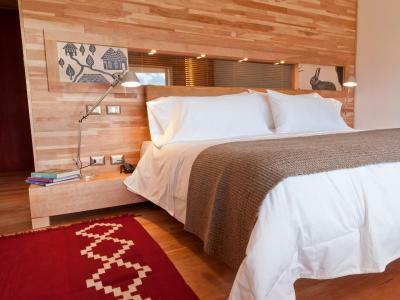 Lock in a great price for Tierra Patagonia Hotel & Spa – rated 9.7 by recent guests! The manager - a very gentle and professional British guy- was always present and very responsive to all needs. Spectacular location. Staff made sure we made the most of our time there. A wonderful experience. 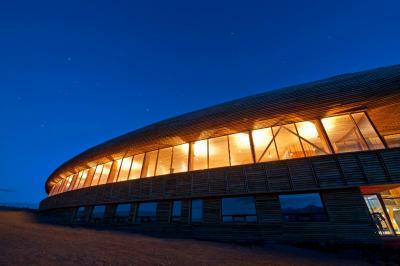 Staff, guides, facilities and food all excellent plus a marvelous view. The most beautiful view in the world from our room. We tried to catch the sunsets there. Breakfast was particularly great and staff were always friendly and ready, eager to help. At times we felt like we were on a luxury cruise. Shoutout to Manager Nicholas for making us feel at home. 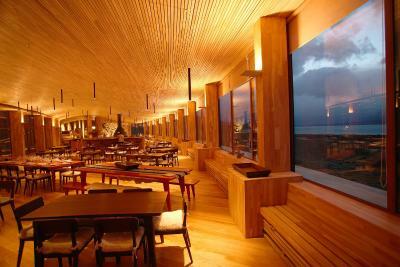 The location was stunning, the room and hotel designs are very special. We enjoyed the daily trips but they lacked the same exclusive feel of the hotel. 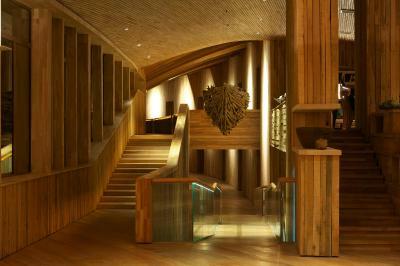 Fabulous hotel - stunningly located and graceful, modern, inviting architecture. Staff and facilities were top notch, friendly and gave excellent advice about activities in the park. 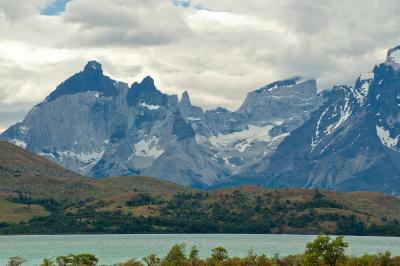 Our room was well appointed and very comfortable- enjoying a breathtaking view of the Torres del Paine. Breakfasts were very good. 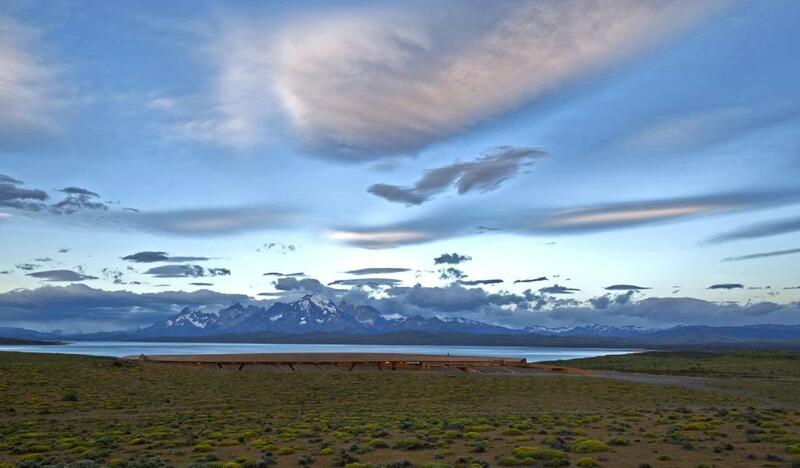 La vista desde el hotel por todas partes frente a las Torres del Paine. En especial la vista desde el jacuzzi y piscina temperada! El personal excelente. Gracias por lograr una experiencia tan increíble. 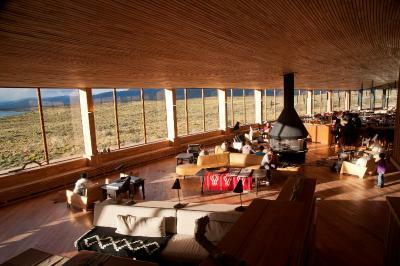 Tierra Patagonia Hotel & Spa This rating is a reflection of how the property compares to the industry standard when it comes to price, facilities and services available. It's based on a self-evaluation by the property. Use this rating to help choose your stay! 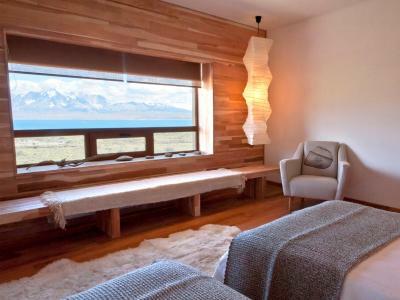 Offering all-inclusive packages for 3, 4 or 5 nights, Tierra Patagonia Hotel & Spa, located by Sarmiento Lake, has panoramic views of Torres del Paine National Park. 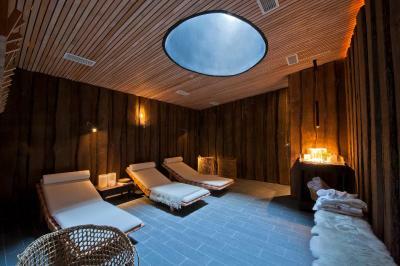 The hotel features a spa with a steam room, sauna, heated pool, hydromassage tub and hot tub. 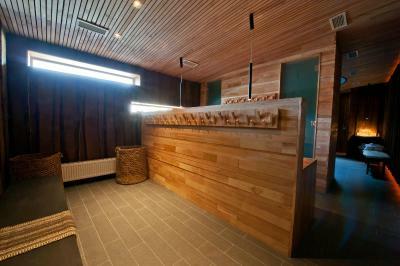 Massage sessions and facial and body treatments with stones and natural elements can be arranged for an extra fee. 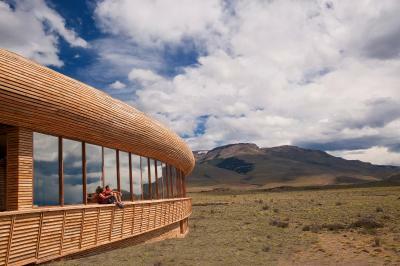 This eco-friendly hotel provides tours around the national park and surrounding areas with local guides. 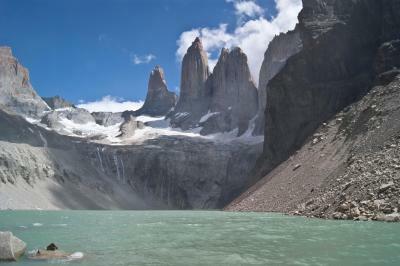 Tours include excursions in the area’s mountains, grasslands, forests, glaciers, rivers, lakes and waterfalls. 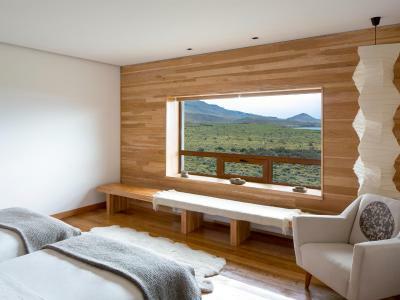 Rooms at Tierra Patagonia Hotel & Spa feature minimalistic-inspired décor with light wood furnishings, elegant chairs, and rugs. 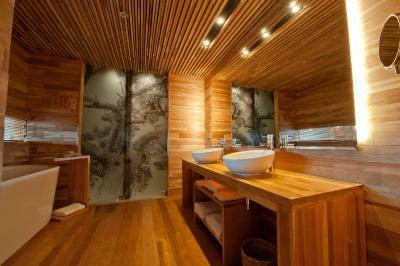 All rooms are equipped with heating and feature baths. 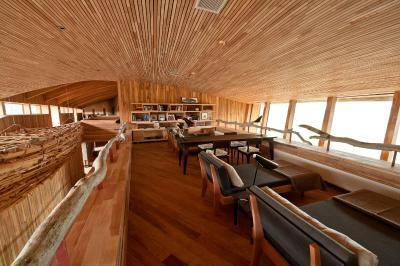 The suite has a spacious split-level living room. Guests can wake up to a full American breakfast with hot chocolate and regional jams. Lunch and dinner are also included. 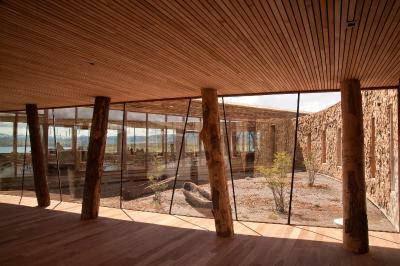 The restaurant offers Patagonian specialties and guests have unlimited access to all types of beverages and non-premium wine and spirits. 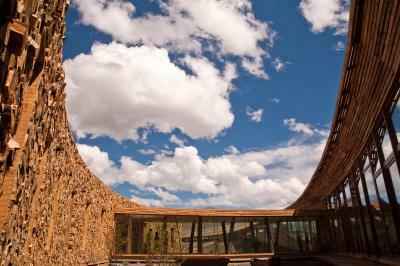 This luxury hotel features a common living room, a bar, a dining area, a TV room, on-site boutique shops, and a terrace. Guests are provided iPads to use during their stay. 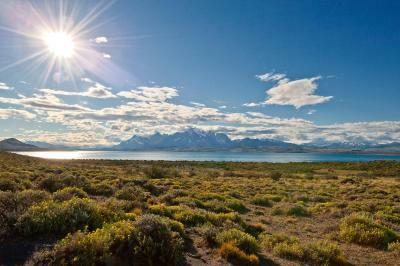 Puerto Natales city is a 1-hour drive away and Punta Arenas Airport is 4 hours away by car. Shuttles to and from the airport are provided at no extra cost but only at specific times during the day. Private parking is free. 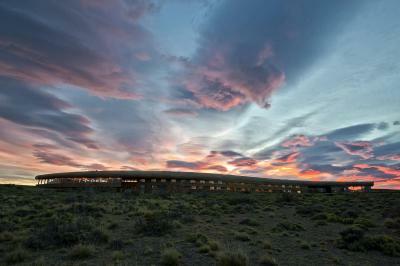 When would you like to stay at Tierra Patagonia Hotel & Spa? 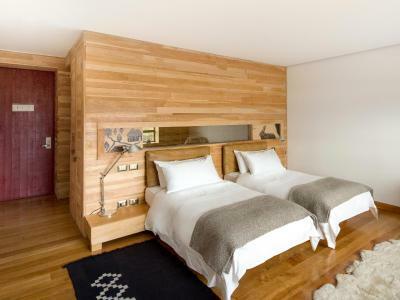 The room features light wood furnishings and a private bathroom. Please note extra beds are available for children under 18 only. 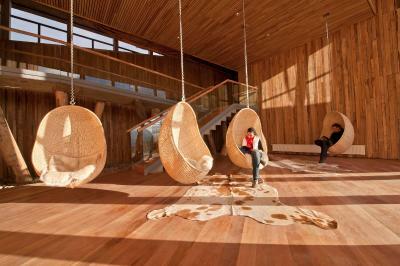 House Rules Tierra Patagonia Hotel & Spa takes special requests – add in the next step! 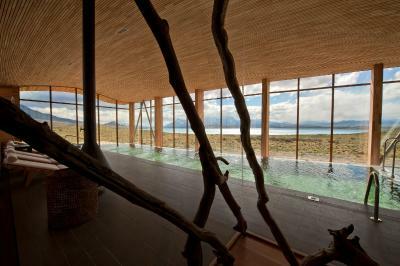 Tierra Patagonia Hotel &amp; Spa accepts these cards and reserves the right to temporarily hold an amount prior to arrival. 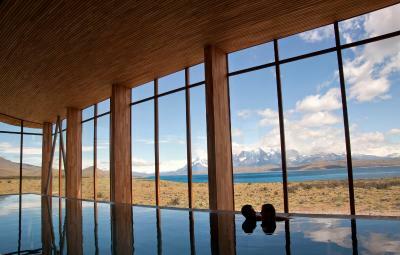 Tierra Patagonia Hotel & Spa accepts these cards and reserves the right to temporarily hold an amount prior to arrival. This property offers all-inclusive rates and normal rates (bed and breakfast). Please note transfer services & excursions are only complimentary with the All-Inclusive packages. For Bed & Breakfast reservations, these services are available at an extra cost. 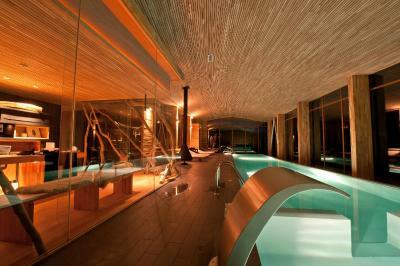 -1 free night at the Ritz-Carlton Santiago (booked through Tierra, breakfast only andalso in the dates specified above). 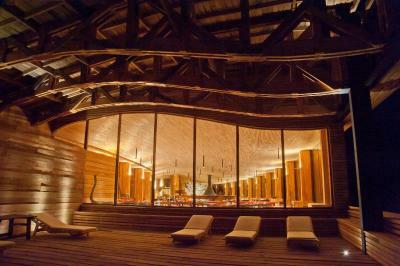 More details will be provided by the property once the all-inclusive package is booked. 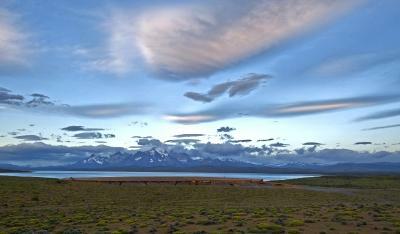 -Transportation from the airport in Santiago to each one of the hotels. Please note rates exclude VAT tax (19%). 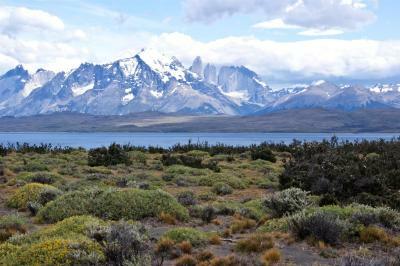 Foreigners staying less than 59 days in Chili are eligible for tax exemption if paying in US dollars and presenting the original immigration card and passport. Beds are hugely wide but are shorter - our feet dangled off the edge of the bed at night. 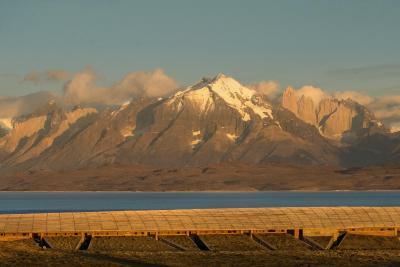 The wind was also nuts at night - bring some ear plugs if you want a good night of uninterrupted sleep! The daily trips were too touristy for our liking. 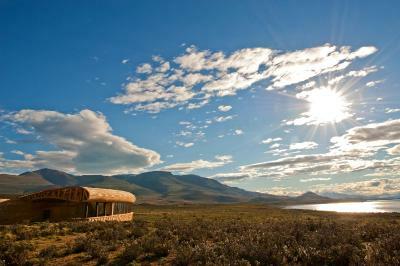 We expected the hotel to present us with more exclusive, safari-type tours e.g. tracking Puma, early morning sunrise photography guided tours, that cater for photographer and wildlife fanatics. Food didn’t always match the highest standards of the rest of the hotel and stay. Food for was good, but was inconsistent and didn’t exceed expectations like every other aspect of the hotel.